Its rich resources of sand, coal, iron and the proximity to water have made it the ideal place for metalworking: the techniques and skills of the ancient smiths have been handed down for centuries and continue to develop and progress with modern technology. The Japanese Company Mcusta (acronym for Machine Custom) is distinguished by the particular attention in design and development of their products, in fact, starting from prototypes made with the 3D.CAM system, the models are inspected and tested in the field before accessing to the production. Each knife is then assembled and finished by hand and inspected by the team of craftsmen. Among the various models, we will analyze a particularly valuable folding knife, both for elegant lines and materials: the Gentleman version of the most famous Tsuchi model. As it is easy to expect from the name, the Mcusta Gentleman is small compared to its older brother and is embellished with more sophisticated details. The blade of the Mcusta Gentleman is made of SanMai steel with a cutting edge in VG-10 steel at 59 / 60HRC and outside in 33 layers nickel damask, 3 mm thick and 70 mm long. The grinding highlights the layers of the damask even more; the blade profile is drop-point with a plain edge. The blade spine is polished but, in the eyes of the passionate, the three states that make up the SanMai will not escape. Blade opening is guaranteed by two ambidextrous thumb-studs anodized in a pleasant blue color, the same treatment is reserved for the pivot screw. Two Teflon washers make the blade rotation very fluid, from the first use. The handle is made of steel liners to which the African ebony or, alternatively, rosewood scales are applied through small Torx screws. The particular texture of the scales offers sufficient grip to the hand but above all increases the aesthetic appeal of the Gentleman knife. The locking mechanism is the liner-lock type. The release of the blade requires a certain amount of exercise, since the portion of flat spring available is really reduced, as well as offering a certain resistance. All the components of the handle are held together by two spacers: one cylindrical, near the pivot, while the second is a backspacer that protrudes from the bottom of the handle, where there is the lanyard hole. 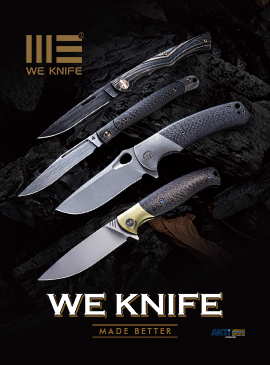 The model in question is without pocket clips but, given the type of knife and the chosen materials, you will not feel its absence; there is however a model with non-removable pocket-clip in Mcusta catalog. Mcusta Gentleman features an original Nishijin fabric sheath. The price for Mcusta Gentleman, in Europe, is € 189.00. The Mcusta Gentleman, as we mentioned at the beginning of this article, doesn't disappoint expectations in terms of constructive and aesthetic quality. The small size does not negatively affect the handling, the factory sharpening is noteworthy. 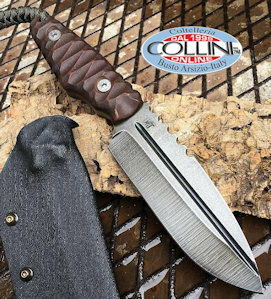 The little Mcusta knife, therefore, is proposed, both as an EDC with a refined design, and as a welcome guest in the shelves of the collector.